Bhagandeshwara Temple is located in the town of Bhagamandala in the Kogadu district of Karnataka. The temple is an important tourist destination and is well known for the confluence of three rivers Kanike, Cauvery and Sujyothi. 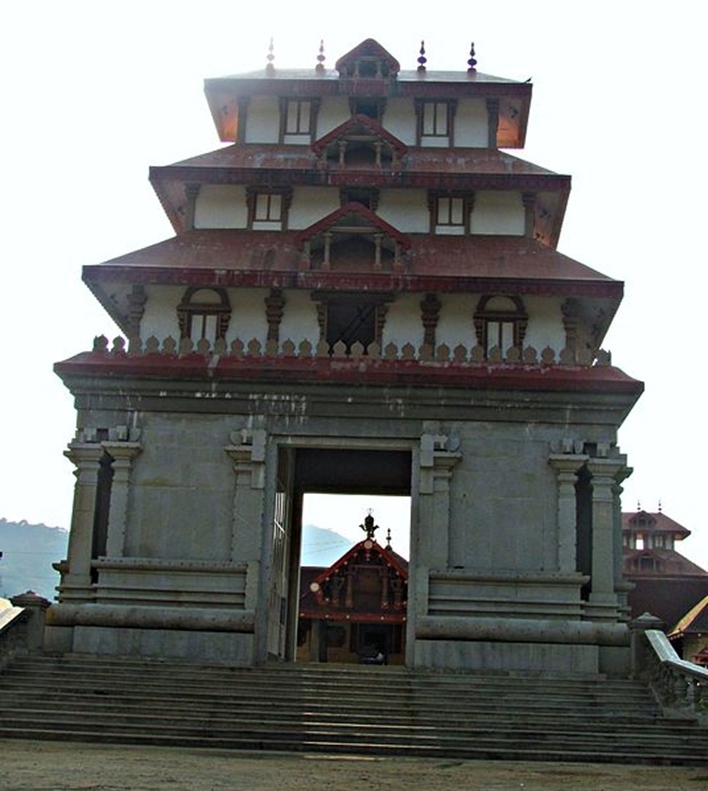 The temple reflects the Kerala style of architecture and is dedicated to Lord Shiva. The place has been named after Sri Bhaganda Maharshi who lived there along with his disciples. He did penance to invoke the blessings of Lord Shiva. The Lord blessed him and assured him of his presence. The Shiva linga was installed by Sri Bhaganda Maharshi, which is how the temple got its name. The best time to visit is from October to February. Hutari festival takes place at the temple in October. A bath in the Triveni Sangama is considered auspicious and spiritually uplifting. 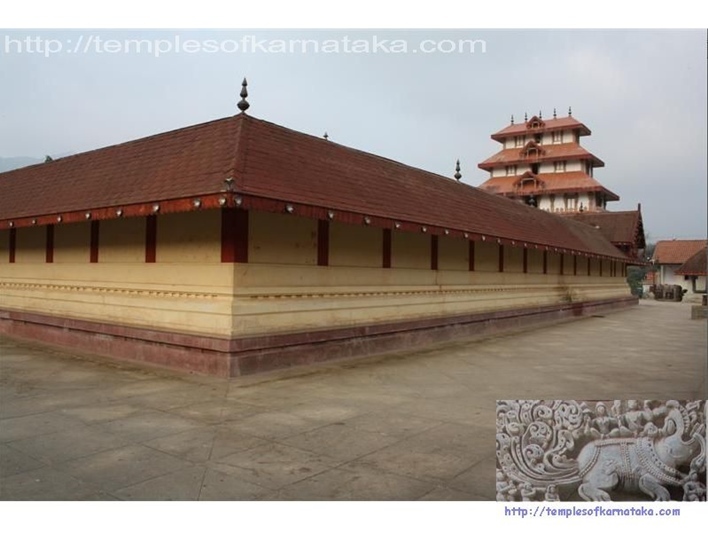 It is known that the royal family of Mysore renovated the temple in 1790 A.D. The ceiling of the temple has intricate carvings that display mythological stories. The main deity in the temple is Lord Shiva, but there are also shrines of Lord Vishnu, Ganpati and Lord Subrahmanya. It is considered auspicious to take a dip in the holy water of Triveni Sangama, hence thousands of devotees throng the temple during the Tula Sankramana, which generally falls on the 18th of October every year. Many people also perform the last rites of their deceased loved ones. The architecture of Bhagandeshwara Temple is striking and rich. It reflects the famous Dravidian style of architecture and shows beautiful carvings on the wood ceiling, the granite walls are covered with floral motifs and murals are made from vegetable dyes. The entire art and architecture is in its best form inside the temple. Apart from the famous temple and the Triveni Sangama, there are other attractions in and around the place. These include Cauvery Nisargadhama, Dubbare, Chinnathappa temple and Talacauvery. The village also offers an opportunity to indulge in trekking. Mt. Thavoor is a mountain peak, which overlooks Bhagamandala and serves as an ideal route for trekking which offers a breathtaking view of the Shola forests. The nearest airport is Bangalore located at a distance of 240 kms. The nearest railhead is in Bangalore and Mysore. The easiest way to reach is by road. The temple lies at a distance of 30 kms from Madikeri which is easily connected by State Transport buses and private buses.